Tom Anderson: "Motion control is a red hot area not only in gaming but in consumer electronics as a whole. Novint has the best technology in that space right now (!!! ), in my view, and as I start showing others, I believe they will agree." high-fidelity 3D touch possible and practical for consumer computing. Users feel weight, shape, texture, dimension, and feedback when playing enabled games. Novint develops 3D haptic technology and products that enable people to experience a realistic sense of touch using their computer. Using our 3D haptic interface device, the Novint Falcon, and patented 3D haptic software, computer users may feel 3D objects, feel their shapes and textures, feel the dynamic properties of objects, and feel many other effects. The Novint Falcon gives force feedback through interchangeable handles that a user holds on to. Forces are created through the use of 3 electrical motors, 1 motor connected to each of the 3 arms in the device. The 3 arms connect to the device's handle. The Novint Falcon is, essentially, a small robot, yet its industrial design is something that consumers will enjoy having on their desktop. Although it gives extremely complex 3D haptic interactions, it is beautiful in its fundamental simplicity and elegance. The idea of virtual touch in computing is as foreign to most people as the concept of television was in the age of radio. But, like the innovation of TV, the Novint Falcon, powered by our patented 3D touch technology, represents an entirely new way to experience games. Touch is an integral part of how we experience things, both physically and emotionally. Until now, high-fidelity touch has been absent from computer interface. Like movies before the introduction of sound, today's games are missing an important part of the sensory experience. So grab the Falcon and feel the next generation of gaming! Novint Needle Simulator: Using technology already integrated into the Novint Falcon, an interactive 3D touch controller developed for playing touch enabled PC games, Lunar designed a solution for adapting the interchangeable grip interface for medical procedure training. 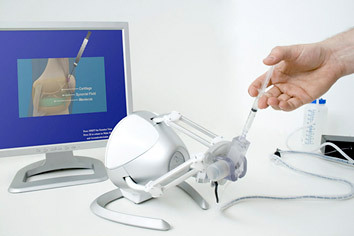 The Needle Simulator allows for a virtual demonstration of a specialized injection procedure into the synovial space of shoulder and knee joints. Lunar's task was to create a custom grip which would provide key additional feedback aspects of the procedure: the look, feel and action of an actual syringe; syringe orientation (tilt angle); and plunger resistance (hydraulic). This way you get a nice reduction for a fantastic product! After 3 buys I get a free falcon using my code! So where are you waiting for!! 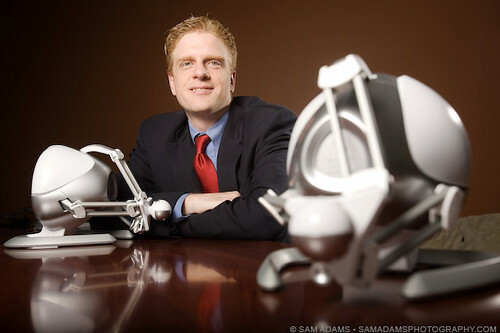 Novint was founded in 2000 by Tom Anderson. In 1995 Sandia National Laboratories, a United States government laboratory, bought one of the world's first commercial 3D haptic devices, and began developing haptic software. Sandia did core haptic research and research on how to use the technology for scientific visualization. It was one of the first companies in the world focused purely on the software side of the field of haptics. Anderson led the project at Sandia until 2000 at which point he founded Novint. Novint acquired an exclusive license to the technology and began to commercialize it. Novint's vision was that the technology could fundamentally change computing, adding one of our most basic human senses and experiences to computers. Given this vision, Novint was originally focused on consumer applications, but quickly found itself in a situation where the dot com bubble was bursting and the markets were collapsing. Investments in 2001 were difficult to come by for an early stage company, so Novint focused its efforts on higher end professional applications. Novint spent several years focusing on custom development for a variety of companies including Lockheed Martin, Chrysler, Chevron, Mobil, Aramco, Sandia National Laboratories, and Harvard University, among others. 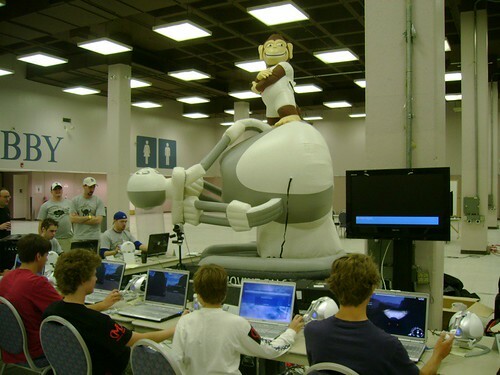 In 2004, the cost of 3D haptic hardware was still very high, over $10,000. Novint felt that to again move towards the consumer space, it would need to develop a consumer level hardware device itself. Novint took on the daunting challenge of taking a $15,000 haptic device, licensed from its partner company Force Dimension, and turn that device into a consumer level device, robust enough for gamers, yet still have the fidelity to be used in surgical simulations. 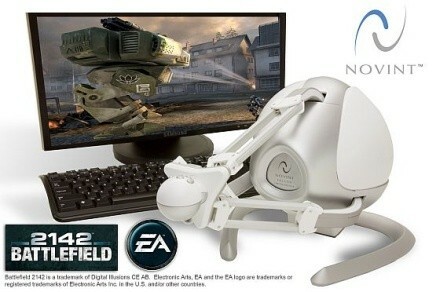 By 2006 Novint had taken the expensive, high-end design, and working with Lunar Design, made a consumer level prototype. In June 2006, Novint went public on the OTC:BB under the ticker symbol NVNT. In late 2006, Novint put together a partnership with V-Tech to manufacture the Falcon in China. At CES in 2007, Novint announced plans to launch the Novint Falcon as a consumer device, and on June 18, 2006 (Tom Anderson's 32nd birthday) Novint launched the world's first consumer 3D touch device, having effectively brought the cost of the hardware down two orders of magnitude (1/100 of the original cost). At that point in time, Novint had a strong hardware solution, but felt that it needed better game support, which is currently one of the main focuses of the company. In May 2008, Novint made an agreement with Electronic Arts to license 7 AAA game titles. 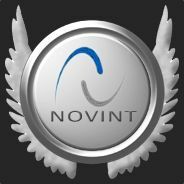 Novint then signed licensing agreements with other publishers and developers, including Valve Software. In June 2009 Valve released updates to Half-Life 2: Episode One, Half-Life 2: Episode Two, Portal and Team Fortress 2 adding game support for the Novint Falcon. In December 2009, Novint launched the first beta version of F-Gen, a tool which allowed mouse-like use of the Falcon in Windows. The program also included a scripting functionality that theoretically allowed users to integrate the Falcon in to practically any game. In February 2010, Novint launched their second Beta version of their F-Gen software, integrating their proprietary G-cube functionality. Later that same month they released a small dll patch to fix a bug that had emerged in the button functionality. Both the beta and the patch were released only on the Novint forums. A patent published Mar. 29, 2016 (lists NVNT) shows that Facebook has acquired the rights to develop an arm-mounted controller that can be used for virtual reality games. The patent outlines a product that can track the movements of the wearer’s arm, and provide feedback based on their actions and what’s going on in the game. Think of the vibration capabilities in a modern video game controller, but on your body. According to people with knowledge of the situation, Facebook acquired the patent from Novint Technologies, a company that makes input devices for computers. Novint has been working on a product called the XIO, that looks a lot like the product in Facebook’s new patent, for at least the last five years. It has not yet released the XIO, and Novint wasn’t immediately available to comment on the status of its prototype.